It may have only been the first day of the year’s fourth quarter but for me that was plenty early enough for Mary Gauthier to sing her festive masterpiece ‘Christmas in Paradise’. On an evening of countless highs, the cries of Mary’s character yelling ‘Merry Christmas y’all’ had to share the limelight with fascinating songs written with soldiers, many enlightening tales from the inside and of course a stream of old favourites. This evening had the special stamp marked right across it as a transfixed audience marvelled at an artist embedded into the core of country, Americana and roots music. Whether pouring her heart into the riveting tracks adorning her latest album TROUBLE AND LOVE or captivating those present with the song ‘Iraq’ telling the untold story of conflict, Mary extolled every virtue of a singer-songwriter riding a career long wave of creative artistry. To cap a memorable evening, or to be more precise open it, Ben Glover had the live opportunity to present several songs from his excellent recent release ATLANTIC and demonstrate how his song writing talent is being shaped by an association deep into the American psyche. Exceptional tracks like ‘Blackbirds’, The Mississippi Turns Blue’ and ‘Sing a Song Boys’ lifted Ben out of the melange of mediocre support acts with the added poise of charismatic presentation and impassioned song delivery. Ben’s lengthy song association with Mary meant he was destined to appear later in the show but for now we witnessed an artist ready to step out of the shadows of his illustrious collaborators. TROUBLE AND LOVE without doubt will feature in many top annual album lists and its lead off track ‘When a Woman Goes Cold’ will surely join the ranks of classic Mary Gauthier songs in years to come. It is always a pleasure to have an album track given a lift by a live version and ‘False From True’ possessed an added shiver when sitting barely a couple of strides from its composer and singer. 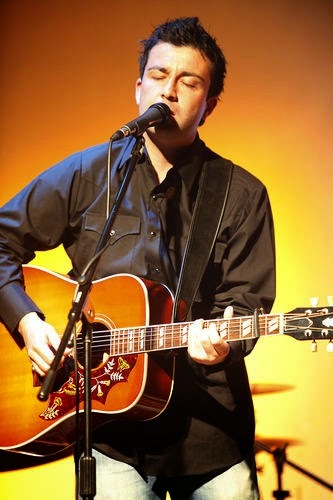 ‘Another Train’ has recently frequented the Grand Ole Opry on a few occasions as the country elite finally recognises an artist rich in the ingredients that make a perfect country song. Several classics from the rejuvenating years of Mary Gauthier pleased her long-time fans and few failed to grin with the wit of ‘I Drink’, engage with ‘Last of the Hobo Kings’ and purr with her sad masterpiece ‘Mercy Now’. Mary proudly announced her satisfaction of this song making an appearance in Rolling Stone’s 40 greatest sad country songs list and revelled in its place between Lucinda Williams and Townes Van Zandt. 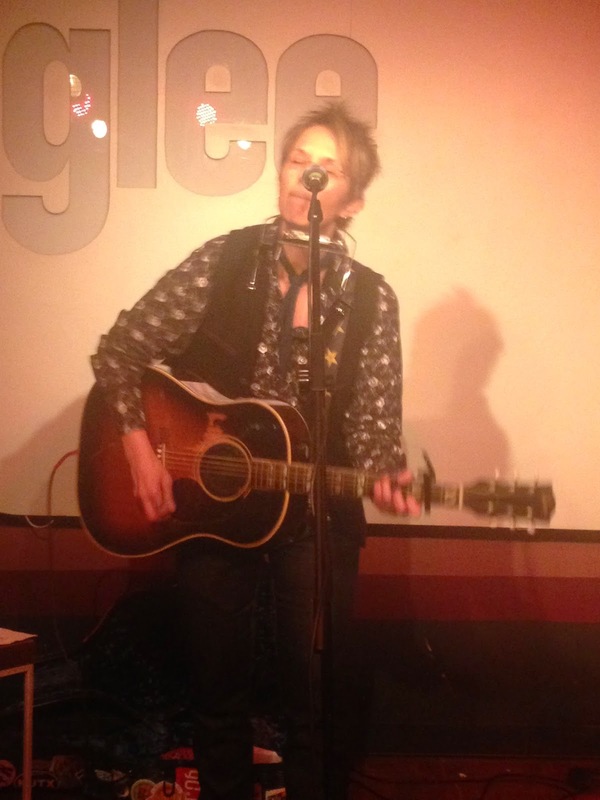 There is very little room in a Mary Gauthier set for a cover song but the lyrical magic of Sam Baker has engrossed her enormously and she chose to close the show with a version of the Texan troubadour’s ‘Go in Peace’. A search for the grave of Robert Johnson in Greenwood, Mississippi and solitary time spent in a Tennessee cabin saw the birth of the song ‘Oh Soul’ before Mary stepped in and led this Ben Glover co-write to a status of taking pride of place on both their current albums. Not surprisingly Ben was invited to join Mary on stage to contribute to its inspirational chorus and its path to crowning a live performance completes the journey for a song encapsulating all that’s mythical in blues and soul southern folklore. Recurring memories of this evening throw up alternative high spots at regular intervals but the abiding recollection is the treasured experience of being in the exalted company of a premium American singer-songwriter and a burgeoning UK counterpart. When we search for that seasonal offering of Mary Gauthier at the end of the year, perhaps this evening will surface again when the annual ‘best of’ lists are being compiled.